I am not known for my patience. I enjoy the immediate gratification of instant messaging, fast food, and direct deposits. While not everything can be so simple, your lawn care can be. Whether you’re against mowing your lawn every week or need some filler between your flowers or stepping stones, you want something quick, you want something simple, and most importantly you want something effective. Be sure to like us on Facebook and follow us on Pinterest so you don’t miss any of our articles. 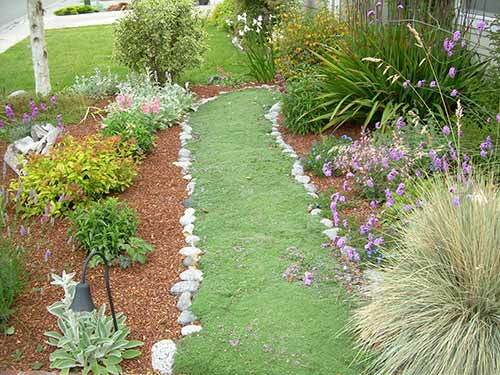 Here are twelve plants to take into consideration when landscaping your lawn. Elfin Thyme Path is a dwarf thyme. This plant is ideal for growing between courtyard bricks and pavers. The occasional flowers will bloom, though they will remain extremely flat in a beautiful lavender shade. Elfin Thyme is extremely drought-resistant, perfect for lazy gardeners like myself who want to enjoy the view without having to work up a sweat. 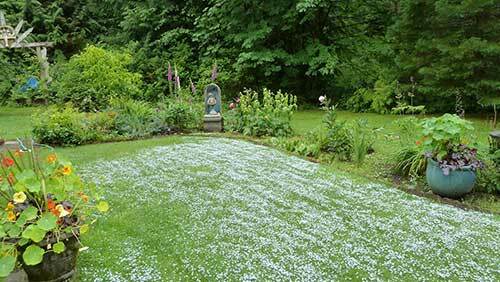 Blue Star Creepers make wonderful replacements for the entire lawn. It also excels between stepping stones, under flowers, and under manmade ponds. They are extremely easy to grow and will bloom in the spring and summer seasons. They are also extremely strong plants as they are able to survive in -20 degree weather and snow covering. Will they look as beautiful as they look in the spring and summer, no. They will take on a rather ragged look during extreme cold and heat, but will thrive in moist landscapes. Their petite green leaves will form a thick mat between stepping stones and around patios and ponds. You’ll also be able to enjoy blue star-shaped flowers during the spring months. The creepers do not come by this name for nothing, they are not native to the United States and can become invasive if over saturated or over-fertilized. 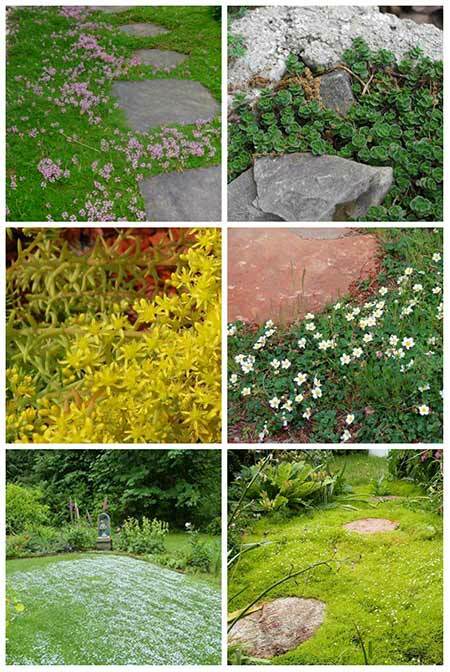 See 10 more amazing stepable plants on the next page.